What is Electro-Muscular Stimulation (EMS)? Home What is Electro-Muscular Stimulation (EMS)? Electro-Muscular Stimulation, or EMS, is the stimulation of muscles by passing harmless electrical impulses through them. The impulses are generated by a compact device and then transmitted to the desired muscle groups via carefully located electrodes. By mimicking the signals sent via the central nervous system, EMS impulses cause muscle contraction. When combined with exercise, EMS creates up 40% more force. – Successfully used in physical training for decades. 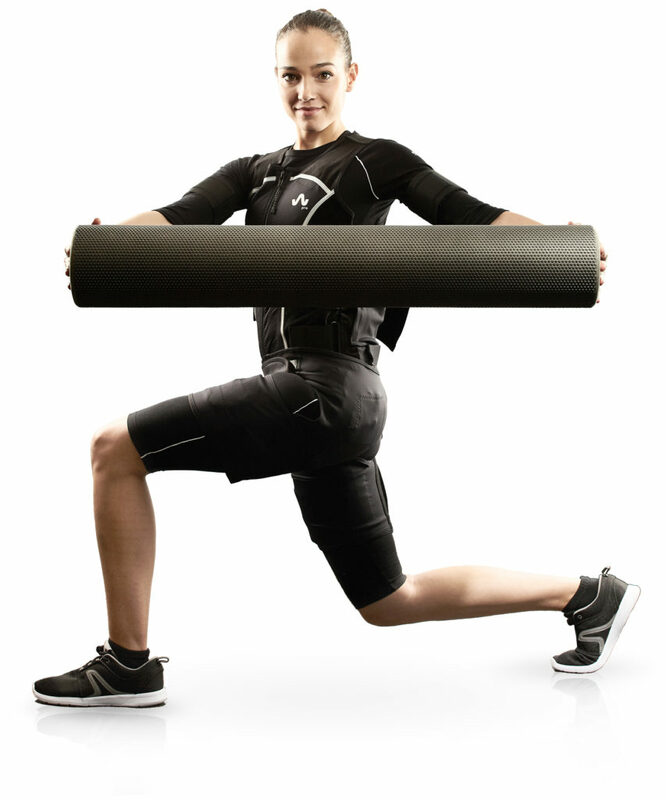 – Effective and convenient targeting of individual or multiple muscle groups simultaneously. – Complements any existing land-based training routine – and enhances the results. – Numerous scientific studies reveal EMS to be highly effective. Wiemspro is a wireless whole body system of muscle electrostimulation (EMS), pioneer at a worldwide level. We offer an integral muscle electrostimulation system that includes suit/vest, device, APP and training. Live a unique experience and improve both personal and group training results of your athletes.